One of the most difficult parts of email marketing is getting your subscriber list to grow. You might feel anyone that communicates with you wants to be added to your newsletters or other email communiqués, but actually they don’t. A survey was conducted from a business stand point where 74% of those who responded said they use email sign-up forms on their website, but only 42% found it successful. Sign up requests off the website are used 52% of the time with a 45% success rate. Lastly emails captured by using Facebook are used 45% of the time with a 31% success rate. Inbound calls found 23% use inbound sales calls with 71% success rate and slightly lower at 63% rate is service calls success. Additionally, stores use in store registration about 18% of the time, but a success rate of 67% can be found. If it is used during the check out process there is only a 57% effective rate. Using email tied to a receipt is used 13% of the time, but 55% effective. Already you should have an idea from the survey that there are definitely ways you can grow your business. You may have tried certain email marketing tactics with a low rate of success. Perhaps you are in the 74% used with email sign up forms to get a low success rate. The trick to marketing is using more than one technique to make an email capture while sticking to the opt-in/opt-out requirements anti-spam laws enacted. You can use any email technique for capture that is listed here and many that are not. In fact you should. There are some reasons why you might vary how you appeal to your consumer base. Know your target audience: if you have a varied target audience, then who is going to sign up via check out opt-in versus signing up online? Whenever you have the potential of consumers signing up in different methods for emails you need to make these methods available. If you know absolutely that no one is going to call in for a sales/service call then you probably won’t spend your time on this aspect. Design an easy campaign: going along with what option you use to get someone to share their email and grow the list is having a campaign that is going to work. For example "is it going to take long to set this up?" is the most favored question of any consumer along with "why do you need that you don’t need that." First, you want a process that is short. So you need to find a way to get their details without spending more than 1 minute on entering the email into the system. When sending an email you really only need their first name to make the email personable and the address it goes to. Second, if the person doesn’t feel they should share their email then you need to give them a reason why it is beneficial. It must be a tangible and honest reason. No one likes to sign up for something only to have their trust betrayed. Email marketing is all about building trust with your consumers. If they do not trust you they will not give you an email or will opt out at the first sign of an email from you. In some cases it is just logged as spam or sent to trash without being opened. You have to decide what is going to be worthy based on your target audience and what appeals to them. 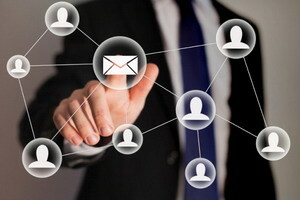 You cannot target every person specifically, but you should be able to give some sort of value to your email campaign.